Internal inspection without draining and sending people inside the confined space. 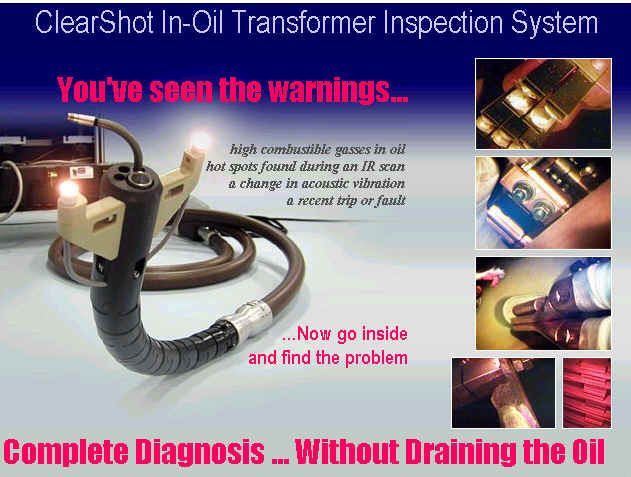 The powerful lighting system and digital camera provide crystal clear images even through service aged transformer oil. The camera head has been updated with more functionality recently – the head of the tool now has pan-tilt capability as well as the previous 4-way articulation capability. Find out the source of transformer gassing or tap changer overheating.